We are building a strong community of women empowering and supporting each other and want our visitors to feel at home. Only respectful comments will remain on this website. Please comment accordingly. If the website moderator is aware of any disrespectful comments they will be deleted. Welcome to this website. If you continue to browse and use this website you are agreeing to comply with and be bound by the following disclaimer, together with the terms and conditions of use. The information contained in this website is for general information purposes only and is provided by steadfast365.com. While we endeavour to keep the information up to date and correct, we make no representations or warranties of any kind, express or implied, about the completeness, accuracy, reliability, suitability or availability with respect to the website or the information, products, services, or related graphics contained on the website for any purpose. Any reliance you place on such information is therefore strictly at your own risk. You need to make your own inquiries to determine if the information or products are appropriate for your intended use. In no event will we be liable for any loss or damage including without limitation, indirect or consequential loss or damage, or any loss or damage whatsoever arising from loss of data or profits arising out of, or in connection with, the use of this website. Through this website you may be able to link to other websites which are not under the control of steadfast365.com. We have no control over the nature, content and availability of those websites. The inclusion of any links does not necessarily imply a recommendation or endorse the views expressed within them. Every effort is made to keep the website up and running smoothly. However, steadfast365.com takes no responsibility for, and will not be liable for, the website being temporarily unavailable due to technical issues within or beyond our control. 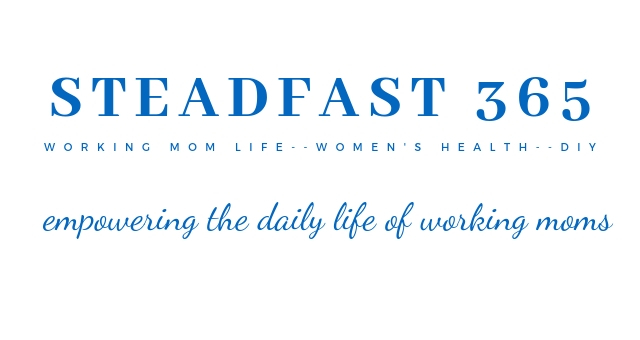 This website and its contents are the copyright of Steadfast Health and Fitness, LLC. All rights reserved. Any redistribution or reproduction of part or all of the contents in any form is prohibited other than the following. You may print or download contents to a local hard disk for your personal and non-commercial use only. You may copy some extracts only to individual third parties for their personal use, but only if you acknowledge the website as the source of the material. You may not, except with our express written permission, distribute or commercially exploit the content. You may not transmit it or store it on any other website or other form of electronic retrieval system. We may from time to time need to disclose certain information, which may include your Personal Data, to comply with a legal requirement, such as a law, regulation, court order, subpoena, warrant, in the course of a legal proceeding or in response to a law enforcement agency request. Also, we may use your Personal Data to protect the rights, property or safety of steadfast365.com, our customers or third parties. If there is a change of control in one of our businesses, (whether by merger, sale, transfer of assets or otherwise) customer information, which may include your Personal Data, could be disclosed to a potential purchaser under a confidentiality agreement. We would only disclose your information in good faith and where required by any of the above circumstances. We do not and will not sell or deal in personal or customer information. We will never disclose your personal details to a third party except the necessary information required by providers of products or services you have purchased or to protect the rights, property or safety of steadfast365.com, our customers or third parties or if required by law. We may however use in a general sense without any reference to your name, your information to create marketing statistics, identify user demands and to assist it in meeting customer needs generally. In addition, we may use the information that you provide to improve our website and services but not for any other use. We reserve the right to change, modify, add or remove portions of these terms at any time. Please check these terms regularly prior to using our website to ensure you are aware of any changes. We will endeavour to highlight any significant or substantive changes to you where possible. If you choose to use our website then we will regard that use as conclusive evidence of your agreement and acceptance that these terms govern your and steadfast365.com’s rights and obligations to each other. It is an essential pre-condition to you using our website that you agree and accept that steadfast365.com is not legally responsible for any loss or damage you might suffer related to your use of the website, whether from errors or from omissions in our documents or information, any goods or services we may offer or from any other use of the website. This includes your use or reliance on any third party content, links, comments or advertisements. Your use of, or reliance on, any information or materials on this website is entirely at your own risk, for which we shall not be liable. It shall be your own responsibility to ensure that any products, services or information available through this website meet your specific, personal requirements. You acknowledge that such information and materials may contain inaccuracies or errors and we expressly exclude liability for any such inaccuracies or errors to the fullest extent permitted by law. steadfast365.com maintains a no return policy. All sales are final. steadfast365.com may from time to time provide on its website, links to other websites, advertisements and information on those websites for your convenience. This does not necessarily imply sponsorship, endorsement, or approval or arrangement between steadfast365.com and the owners of those websites. steadfast365.com takes no responsibility for any of the content found on the linked websites. steadfast365.com’s website may contain information or advertisements provided by third parties for which steadfast365.com accepts no responsibility whatsoever for any information or advice provided to you directly by third parties. We are making a ‘recommendation’ only and are not providing any advice nor do we take any responsibility for any advice received in this regard. To the fullest extent permitted by law, steadfast365.com absolutely disclaims all warranties, expressed or implied, including, but not limited to, implied warranties of merchantability and fitness for any particular purpose. steadfast365.com gives no warranty that the documents, goods or services will be free of errors, or that defects will be corrected, or that our website or its server is free of viruses or any other harmful components. Whilst we, at all times endeavor to have the most accurate, reliable and up-to-date information on our website, we do not warrant or make any representations regarding the use or the result of the use of any document, product, service, link or information in its website or as to their correctness, suitability, accuracy, reliability, or otherwise. It is your sole responsibility and not the responsibility of steadfast365.com to bear any and all costs of servicing, repairs, or correction. The applicable law in your state or territory may not permit these exclusions, particularly the exclusions of some implied warranties. Some of the above may not apply to you but you must ensure you are aware of any risk you may be taking by using this website or any products or services that may be offered through it. It is your responsibility to do so. Steadfast365.com does not and will not sell or deal in personal or customer information. We may however use in a general sense without any reference to your name, your information to create marketing statistics, identify user demands and to assist it in meeting customer needs generally. In addition, we may use the information that you provide to improve its website and its services but not for any other use. Steadfast365.com may be required, in certain circumstances, to disclose information in good faith and where steadfast365.com is required to do so in the following circumstances: by law or by any court; to enforce the terms of any of our customer agreements; or to protect the rights, property or safety of our customers or third parties. If you are in the business of creating similar documents, goods or services for the purpose of providing them for a fee to users, whether they be business users or domestic users, then you are a competitor of steadfast365.com. steadfast365.com expressly excludes and does not permit you to use or access our website, to download any documents or information from its website or obtain any such documents or information through a third party. If you breach this term then steadfast365.com will hold you fully responsible for any loss that we may sustain and further hold you accountable for all profits that you might make from such unpermitted and improper use. steadfast365.com reserves the right to exclude and deny any person access to our website, services or information in our sole discretion. This website contains material which is owned by or licensed to us. You are not permitted to reproduce the documents, information or materials on the website for the purposes of sale or the use by any third party. In particular you are not permitted to republish, upload, transmit electronically or otherwise or distribute any of the materials, documents or products that may be available for download from time to time on this website. Steadfast365.com expressly reserves all copyright and trademark in all documents, information and materials on our website and we reserve the right to take action against you if you breach any of these terms. Any redistribution or reproduction of part or all of the contents in any form is prohibited other than the following: you may print or download to a local hard disk extracts for your personal and non-commercial use only; and you may copy the content to individual third parties for their personal use, but only if you acknowledge the website as the source of the material. You may not, except with our express written permission, distribute or commercially exploit the content. Nor may you transmit it or store it in any other website or other form of electronic retrieval system. We love it when you share! Please keep in mind that all images and text on this site are property of Steadfast365.com. Feel free to use one or two photos provided that a link back to the original post on this website is included. Please do not remove any watermarks, crop, or edit any of the images without first obtaining written permission from us. All free documents offered are for personal use only. This does not apply to stock photos that are not originally ours. These terms and conditions represent the whole agreement between you and steadfast365.com concerning your use and access to steadfast365.com’s website and your use and access to the documents and information on it. No other term is to be included in this agreement except where it is required to be included by any legislation of the Commonwealth or any State or Territory. All implied terms except those implied by statute and which cannot be expressly excluded are hereby expressly excluded. Exercise and health are matters that vary from person to person. You should understand that when participating in any exercise or exercise program, there is the possibility of physical injury. If you engage in our exercises or exercise programs, you agree that you do so at your own risk, are voluntarily participating in these activities, assume all risk of injury to yourself, and agree to release and discharge steadfast365.com, all its instructors, commentators and any associated with the steadfast365.com website from any and all claims or causes of action, known or unknown. steadfast365.com and its contents are made available without warranties or guarantees of any kind and steadfast365.com, any contributing author(s) of any articles including any third party contributors, disclaim any and all liability for any type or form of injury, including personal, direct, indirect or consequential or damage of any kind or type resulting from the use of this website or from any information, advice, goods, services or other resources that may be mentioned or made accessible through this website. This includes personal physical injury from performing any exercise described, or any and all forms of injury and/or damage to person, both animate or inanimate, mental, physical, electronic or any and other form of injury. We also disclaim liability caused by intentional or unintentional negligence. You should always consult a physician before starting a fitness program or changing your diet. Not all exercises, nutrition programs or activities are suitable for everyone. The information presented in this website is in no way intended as a substitute for medical, nutritional or psychological counseling. All information contained on steadfast365.com, including information relating to medical and health conditions, products, treatments and nutrition is for informational purposes only. The content is also not intended to be a substitute for professional training, nutrition, diet, health, wellness, fitness, training tips, eating disorders, related issues or any other form of advice. When in doubt, consult your personal documented primary care physician, registered dietician or other certified and/or licensed professional. This agreement and this website are subject to the laws of Florida in the United States. If there is a dispute between you and steadfast365.com that results in litigation then you must submit to the jurisdiction of the courts of Florida.